Rowing is synonymous with British sporting success over the past 30 years, since Sir Steve Redgrave, Sir Matt Pinsent and others became Olympic legends. A gold medal at the summer Olympics has pretty much been a guarantee on the boating lake since 1988. And now, in 2014, the new generation of oarsmen and oarswomen are taking on the mantle left by those greats by winning medals and storming the water. Nikwax caught up with one of the GB Rowing Team’s more recent heroes, Andrew Triggs Hodge – winner of gold medals at the last two Olympic Games – to talk about the appeal of the sport and how important the correct kit is to him. 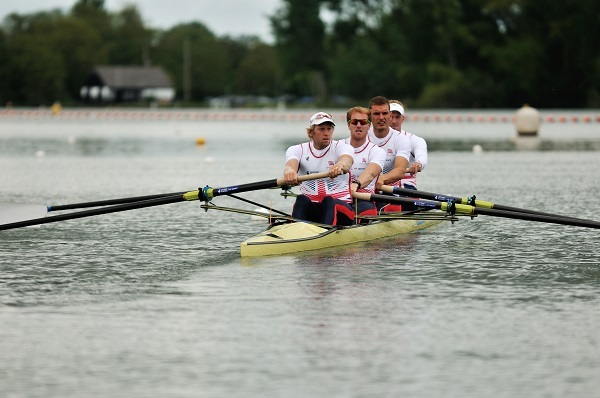 Nikwax opted to get involved in the sport by becoming one of the suppliers to the GB Rowing Team as they look to build towards what is hoped to be a hugely successful Olympic Games in Rio in 2016. It’s new ground for Nikwax, having previously not been involved in high level sport, but the benefits of the products provided by Nikwax go hand-in-hand with a sport that has the demands of rowing. Nikwax products are famous for providing high performance waterproofing, something that serves all the team members of GB Rowing Team when they hit the water for training or on race day. All the rowers’ training gear and technical underwear will be treated meaning that however hard they are working, their kit will perform. Using Nikwax, GB Rowing Team can be assured that their kit is in safe hands, as is the current generation of potential medal winners on the Road to Rio.